Please scroll horizontally and see. Osaka Boiler Mfg. Co. Ltd. The late Iwajiro Yamamoto founded “The Yamamoto Iron Works” in Nozato-cho, Nishiyodogawa-ku, Osaka. Mainly Babcock Type Water Tube Boilers, Horizontal Cylindrical Boilers, chemical machinery and tanks were manufactured. The company relocated to Takejima for facility expansion. The company was reorganized and became a public company. Various inspection equipment were installed and the facility was approved as an authorized welded boiler manufacturing factory by the Ministry of Labor (current Ministry of Health, Labor and Welfare). In 1956, the company received the authorization to further expand its production capacity – to maximize the thickness of steel plates to 50mm and the operating pressure to 60kg/cm2. Then the company was authorized to weld power boilers by the Ministry of International Trade and Industry (current Ministry of Economy, Trade and Industry). The facility was also approved as a certified factory of marine products by NK, LR, BV, AB, CR, NV and others. The 2nd Annealing Furnace and Electric Automatic Welding Machine were installed to fully equip the factory to weld all products. As the shipbuilding industry made dramatic advances, Osaka Boiler began focusing on marine boilers. The company achieved its goal to increase its market share of auxiliary boilers for major shipbuilding companies to 80％. Capital was increased to JPY 48,000,000. The headquarters was renovated. Capital was increased to JPY 73,000,000. 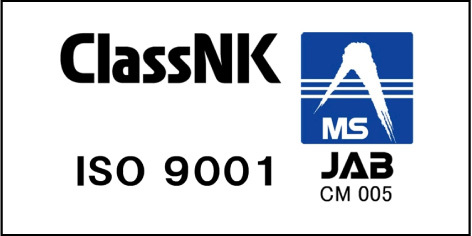 The company obtained ISO 9001 certification, a global standardization for marine products, from Nippon Kaiji Kyokai (Class NK). The company obtained the 2008 version of ISO 9001. A new headquarters building was built and the company was relocated. SUMITOMO HEAVY INDUSTRIES MARINE & ENGINEERING CO.,LTD. DALIAN SHIPBUILDING INDUSTORY CO., LTD.
NANTONG COSCO KHI SHIP ENGINEERING CO.,LTD. China Corporation Register of Shipping.